Ossie's Story - Arundel Community Development Services, Inc.
Ossie is one of hundreds of Anne Arundel County residents whose lives have been greatly assisted by the Coalition to End Homelessness’ programs. A mother of two, Ossie was employed for years as a security officer working on government contracts. She unfortunately fell behind on a payments and ended up in debt, including owing back taxes to the IRS – which led to her security clearance being revoked. Since she was unable to work, Ossie’s situation began to fall apart. She lost her home and was forced to enter a domestic shelter with her daughter. At the shelter, she learned about the Sarah’s House emergency shelter and rapid re-housing programs, run by Catholic Charities and funded in part through ACDS. 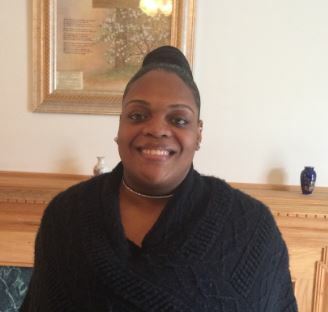 She was soon in a rapid-rehousing program, meaning she has a safe and affordable rental unit for her family and is moving toward self-sufficiency. Ossie has successfully regained her security clearance and is being retrained for her former position at the same security company. And she is very hopeful for the future. Sarah’s House is just one of dozens of programs making a big impact in the effort to end homelessness in Anne Arundel County. ACDS is proud to continually improve and strengthen partnerships amongst agencies working toward this common goal.